There is a conversation about aging in the workforce that didn’t exist previously. Millennials, GenXers and others didn’t want to have a conversation about working Baby Boomers, basically they just wanted us to retire and go away quietly. In June 2015 there was a special Senate Hearing, “Work in Retirement: Career Reinvention and the New Retirement Workscape” chaired by a bi-partisan coalition studying issues of working past age 65. 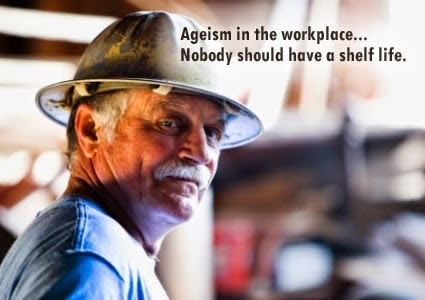 In April 2015 AARP commissioned a study conducted by AonHewitt , “A Business Case for Workers Age 50+: A Look at the Value of Experience 2015.” In March 2015, Money magazine published, “The Suddenly Hot Job Market for Workers Over 50.” CNBC, radio talk shows and other media have shined a light on the opportunities and challenges of our multi-generational workforce. Corporate culture and how experienced workers are treated by management is more transparent than ever. Potential employees have to sort through the noise and scam messages online. However, sites like glassdoor.com, Indeed.com and others can shed light on management philosophy and practices. There are industry oriented sites, company specific sites and forums on job search sites. Corporate America is (slowly) waking up to the potential of experienced workers staying in the workforce. In January 2015, the Society of Human Resource Management (SHRM) surveyed 1,913 HR professionals who rated experienced workers highly in knowledge, work ethic, professionalism and reliability. However, only 24% of the HR professionals saw the brain drain of knowledge leaving their organizations as a problem and 4% viewed it as a crisis. Some industries are more impacted than others. 39% of the American Airlines workforce is 50+ while 37% of the employees at Delta and United Airlines are 50+. 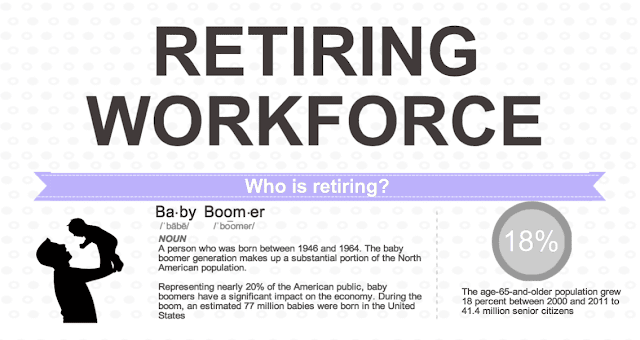 The Federal government workforce is composed of 30% employees 50+. These organizations will have to face the challenges of losing their knowledge base before other companies. More organizations are focused on next steps for emerging retirees. There are free resources for 50+ workers at encore.org, the Center on Aging & Work at Boston College have years of research for individuals and human resource professionals on their website and AARP has online resources on their website. Managing the Older Worker: How to Prepare for the New Organizational Order, Peter Cappelli’s 2010 book has ideas for leaders working with experienced workers. Excerpts of his classic have shown up in many 2015 magazines. The experienced worker is top of mind this Labor Day! I think that workers have the opportunity to put their mind, body and spirit into this Labor Day. The opportunity to be the best is within no matter how menial the job. Check advancement opportunities and benefits that will excel in the workplace. Well said. All jobs are important. I started noticing being treated differently by my manager now that I am 60 and some younger co-workers who make comments that they plan to retire at 55. I think they expect me to comment and I just reply that's great. I notice a difference for sure and I have created a Plan B if my job is eliminated and increased my savings. Right now, I approach everyday like I have the past 26 years on my job. Thanks for sharing your experience. It sounds like you have figured out how to handle the situation you are facing at work. Best of success to you. EEOC Age Discrimination Complaints are on the rise. More Age Related Lawsuits are being filed. Older workers have stopped looking for jobs so they don't show up in unemployment numbers. It is hard to believe you think that the job market is getting better for seniors. Thanks for your message and I appreciate your perspective. Everyone has different experiences in the workforce and I base my view on what I am observing. This blog is about having a conversation and that's why your comment is important--its a different perspective. Thank you for sharing it. Thanks Brenda, for the info. I'm a very young baby boomer :) (1963) But I've become increasingly more intrigued about what lies ahead for those of us inching ever so closely to retirement age. Thanks for the info and I enjoy reading the blogs. Hi Lisa, thanks for your message and for reading the blog and sharing your comment! It is never too early to do career planning. So, I appreciate your reading and hope you will pass the post on to your network. Bannerizer made it easy for you to promote ClickBank products with banners, simply go to Bannerizer, and get the banner codes for your chosen ClickBank products or use the Universal ClickBank Banner Rotator to promote all of the available ClickBank products.